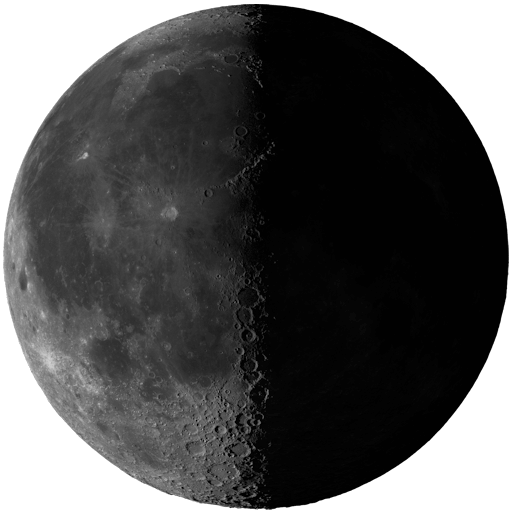 The Moon phase today in Ashburn at April 26 2019 07:59:00 PM is in a Third Quarter. This is 23 moon day in lunar calendar. The moon is in the phase of the Third Quarter. The ideal time for the completion of initiated during the growing moon Affairs. Surgical operations have the most favorable outcome. Any wounds heal quickly and without complications. The time is favorable for planting "underground" of vegetables. The Moon in the sign of Aquarius - the top leadership or state agencies at this time it is better not to bother, and take on the organization, carrying out all kinds of meetings, conferences or participation in them. This time is ideal for any intellectual and creative activities. It is useful to educate ourselves and gaining new knowledge, learning and the introduction of new technologies. Bad things are going real estate, public and political activity. Day of the week - Friday, the day is under the auspices of Venus - a mysterious, enigmatic and luminous planet. It is from ancient times was considered a women’s day. On this day, girls and women were supposed to rest, do not load themselves with any matters. Since Venus is the protector of grace and beauty, creating a human sense of peace, then Friday is best to sum up the working week and freed of all unnecessary. The best thing - it is to prepare for the upcoming week. And in no way trying to crank out all the work up to the end of the day.